Read our latest blog and get eight simple fire-safety tips that touch on cooking, baking with the kids, using and storing cooking equipment and more - everything that can help you and your family reduce the risk of kitchen fires during this joyous time of year. For more great info about holiday fire safety, don't forget to check out (and share!) our newly designed winter holiday safety web page, and stay tuned for some great new holiday assets you can use and share ... coming soon! !http://nfpa.typepad.com/.a/6a00d8351b9f3453ef01bb088dd872970d-800wi|border=0|src=http://nfpa.typepad.com/.a/6a00d8351b9f3453ef01bb088dd872970d-800wi|alt=091|title=091|class=asset asset-image at-xid-6a00d8351b9f3453ef01bb088dd872970d image-full img-responsive! Both sections of the trailer mimic a setting inside your average home. There's bedding, a mattress, couch, drapes. One section is set aflame to mimic the way fire quickly impacts today's modern furnishings, while the other section showcases the speed in which sprinklers can avert fire's catastrophe. Watch a video featuring this trailer by visiting the Fire Sprinkler Initiative blog. !http://nfpa.typepad.com/.a/6a00d8351b9f3453ef01b7c708068b970b-450wi|src=http://nfpa.typepad.com/.a/6a00d8351b9f3453ef01b7c708068b970b-450wi|alt=November201994|style=width: 262px;|title=November201994|class=asset asset-image at-xid-6a00d8351b9f3453ef01b7c708068b970b img-responsive|height=334! !http://nfpa.typepad.com/.a/6a00d8351b9f3453ef01bb07ad505d970d-300wi|src=http://nfpa.typepad.com/.a/6a00d8351b9f3453ef01bb07ad505d970d-300wi|alt=November201994two|style=margin: 0px 0px 5px 5px; width: 278px;|title=November201994two|class=asset asset-image at-xid-6a00d8351b9f3453ef01bb07ad505d970d img-responsive! On Sunday, November 20, 1994*, *at approximately 3:41 pm, a series of explosions occurred at a furniture manufacturing facility in Lenoir, North Carolina. There were two fatalities and four injuries as a result of this incident. The North Carolina Special Bureau of Investigations determined that the nature of the incident was accidental and not criminal. For the full&#0160;NFPA Fire Investigation report. To read about NFPA&#39;s statistical report on&#0160;Fires in U.S. Industrial and Manufacturing Facilities. In terms of sheer numbers, municipal fire departments—better equipped and trained for structure fires—are handling a larger portion of wildfire duties. But until now there was little understanding or information about how well trained and capable these departments are to handle the job. “Local Focus,” a feature story in the new November/December issue of NPFA Journal, explores this topic through the lens of a first-of-its-kind new NFPA study. Over the course of several months, NFPA researchers interviewed 46 high-ranking fire officials from urban and rural departments on a variety of topics related to wildfire operations. The report relies heavily on the observations of participants, and interviewees were granted anonymity to encourage candor. The NFPA Journal article by Jesse Roman highlights some of the most revealing themes and quotes from the extensive study. Mitigation, communication issues, education, and other logistical issues all factor heavily in a local department’s ability to tackle the nation’s wildfire problem, according to those interviewed. Read about these insights and what various local fire service leaders had to say about these challenges, in "Local Focus" in the new NFPA Journal. As the fire service is asked to respond to a larger variety of incidents, and the world changes and new threats arise, there has been a blurring of the once sharp line between fire service and law enforcement, writes Ken Willette, the division manager for public fire at NFPA. Willette’s new column, “The Thin Purple Line,” in the new November/December issue of NFPA Journal discusses why this is happening and how NFPA is responding with new and updated codes and standards to reflect this new reality. “NFPA is ready and able to draw on its areas of proven expertise to assist law enforcement,” he wrote. “Where responders go, NFPA goes, strengthening that thin purple line. Read Willette’s column in the new issue of NFPA Journal, and online at NFPA.org/journal. We have a new training event on November 19th at 11 AM for Fire Investigators regarding Alternative Fueled Vehicles (AFVs). I was trying to wrap my head around why this event was so important so I contacted someone who is currently in the field. One of my oldest friends is a firefighter with a town North of Boston who has many years of experience. I wanted him to give me an example of a situation where a Fire Investigator would need more knowledge about AFVs. Here’s what he said “Let’s say there’s been an accident at a major intersection in Downtown Boston and an AFV has caught on fire. When the fire is extinguished by the BFD, the vehicle is towed to a storage yard in Quincy, MA about 8 miles away. Your boss sends you to conduct an investigation. Do you have all the knowledge you need to conduct a safe investigation? I also sought out our resident expert at NFPA. One of the great things about working at NFPA is that you have a building filled with Subject Matter Experts (SMEs) that “ooze” knowledge and more importantly, they want to share that knowledge. Recently, I sat down with one of our SMEs, Michael Wixted, who is an Emergency Services Specialist and the staff liaison to NFPA 921 as well as NFPA 1033 to discuss the event. 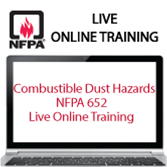 Increasing Fire Investigator Awareness on Potential Alternative Fueled Vehicle (AFV) Safety Hazards is an online training event that covers many different types of vehicles including plug-in electric, hybrid, bio-diesel and gaseous fuels. You'll learn about the hazards associated which each type of incident and what practices are currently being employed to help negate those threats during an investigation. Q: Why would someone want to take this training? Q: What are the top 3 takeaways attendees will receive from the training? Q: Who are the other speakers for this event and what experience/knowledge will they bring to the discussion? Click here to find out more about this event and to register. New research shows how sleeping with your bedroom door closed can help buy lifesaving seconds in a fire, that can be used to find a way out or to protect yourself until firefighters can reach you. Research is showing how doors can keep smoke out of a room longer as well as change the flow of heat and toxic gases, acting as a shield for someone trapped and unable to get out of a fire. Steve Kerber, director of the Underwriters Laboratories Firefighter Safety Research Institute, and a new committee member here at NFPA, has conducted hundreds of fire studies at UL working with fire departments across the country. He said along with smoke alarms, a closed door is the best possible thing. In one UL test (shown in the above video), Kerber’s team lights a fire in a living room. The house is an open floor plan, like many homes in North Texas, with a great room that opens up to the second floor. Upstairs there are two bedrooms, one with the door open, the other is closed. Just a minute and a half after the fire starts downstairs, smoke is already entering the upstairs bedroom with the open door. After just three minutes, the room with the open door is full of thick, black smoke. But the room with the door closed, the air stays clear longer. Five minutes into the fire, there’s still some visibility in the room with the closed door. In the rest of the house smoke has choked out the light. In 2012, UL conducted a series of tests On Governors Island, New York along with the New York City Fire Department. Researchers set 20 abandoned town houses on fire, to see how fires spread through modern homes. Among their findings, closed doors not only blocked smoke, they also kept out dangerous heat. Firefighters and those of us at NFPA say you should have a working smoke alarm inside each bedroom, outside each sleeping area, and have an escape plan that you practice with your family, as well. Read the full story and watch the videos of each of the tests for more information. The November 2015 issue of NFPA News, our codes and standards newsletter, is now available. !http://nfpa.typepad.com/.a/6a00d8351b9f3453ef01b7c7e86152970b-800wi|border=0|src=http://nfpa.typepad.com/.a/6a00d8351b9f3453ef01b7c7e86152970b-800wi|alt=Maryland|title=Maryland|class=asset asset-image at-xid-6a00d8351b9f3453ef01b7c7e86152970b image-full img-responsive! Media outlets in Maryland continue to produce slanted stories on the impact of the state's sprinkler requirement, which fail to give the public the full story on these life-saving devices. The proposed project seeks to address hanging and bracing requirements for a myriad of water-based systems, not merely sprinkler systems. Currently, Chapter 9 of NFPA 13 addresses hanging and bracing of automatic sprinkler systems. Although many other water-based system design standards refer to this chapter, these requirements were not written, nor intended, for application to alternative systems. To resolve any gap in hanging and bracing requirements, hanging and bracing requirements are sought to be developed which are system specific. Should the Standards Council ultimately approve the New Project Initiation Request, the initiator of the project recommends that a new Technical Committee be established given that currently established Technical Committees lack the expertise for development of a hanging and bracing specific standard. Are you, or your organization, in favor of NFPA developing an ANSI Accredited Standard on hanging and bracing? Are you or your organization interested in participation on the Technical Committee should the Standards Council initiate a new project on hanging and bracing? Please submit comments in support or opposition to hanging and bracing requirements for fire protection systems standards by the February 1, 2016 deadline.